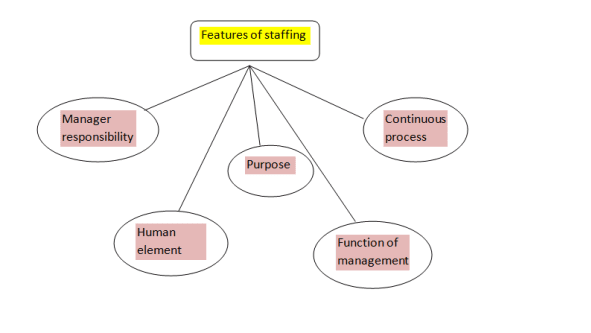 In this article we will discuss about Staffing Meaning, Features,Importance and Process and why staffing is important to organisation. The success of any organisation does not depend upon the financial resources but the using of manpower . so in staffing organisation select best manpower for organisation. Staffing is a most important function in an business organisation. It means to filing vacant position by recruiting the right person at right job and right time.The term ‘Staffing’ relates to the recruitment, selection, development, training and compensation of the managerial personnel. Staffing is done in an organisation by different person at different time. The “staffing’ function of management refers to the systematic approach to the problem of selecting, training, motivating and retaining managerial personnel in any organisation. It is concerned with recruitment and development of managers and their maintenance in a high spirit. Also, According to A. K. Singh, “Staffing is the process of providing jobs to deserving people, through the function of recruitment, selection and training with-a-view to getting benefits from them, for the achievement of pre-set goals of organization. Staffing is a process in which person are recruited by company managers and this process is continuous in nature and never ends. The purpose of staffing is to ensure that the right number and the right type of the people are working on the right jobs at the right time and right place. Its objective is to ensure optimum and efficient manpower in the enterprise. Staffing is an integral part of the management process and also it is the responsibility of every manager to recruit right person at right time for right job. 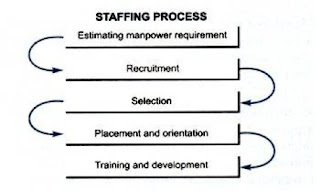 The function of staffing is concerned with the recruitment and selection of the human resources. Additionally the human relation skills are required for training, development, and performance appraisal of the employees in the organisation. staffing is one of the important functions of management. Previously the staffing was considered as the part of the organizing function but now it is considered as a separate and distinct function of management and provides the due importance to the manning of the organisational roles. 1. Staffing function help in qualified and obtaining competent personnel for different jobs position in the organisation. 2. Since the right person is recruited for the right jobs, it leads for maximum productivity and higher performance. 3. It promotes optimum utilization of human resources. 4. Job satisfaction and morale of the workers increases through recruitment of right person. 6. It ensures the continuity and growth of the organization, through development managers. The very first step in staffing is to plan the manpower required in an organisation by a concern in order to match them with the job requirements and demands. Therefore, it involves forecasting and determining the future manpower needs of the concern. 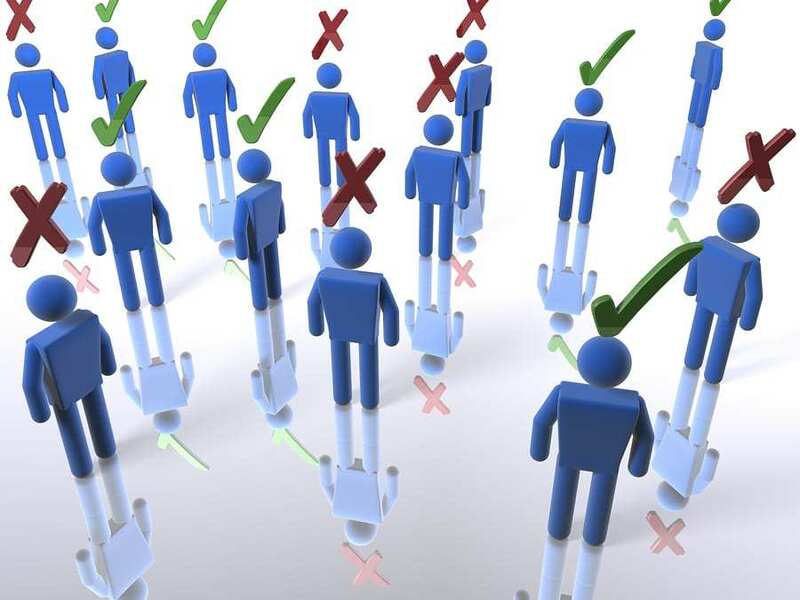 After estimating manpower requirement they have to recruit right persons for the right job at a right time by different organisational managers. This is the screening step of staffing in which the solicited applications are screened out and suitable candidates are appointed as per the requirements. Placement involves putting the selected man at the right place considering his aptitude and ability. It is the actual posting of an employee to a particular job for which he/she has been chosen. The term training implies a systematic procedure of imparting knowledge and skills for a specific job. It benefits both the enterprise & the employee. Training increases the skills and abilities of employees to perform specific jobs. Training can be given for improving the current job or to prepare the employees for some intended jobs. The enterprise also gets the advantage of training in the form of reduction in the production cost, best usage of tools & machine and improvement in the quality etc. 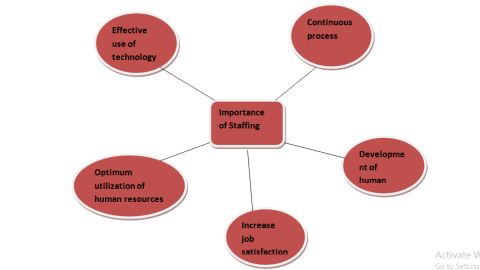 So, we have studied Staffing Meaning, Features,Importance and Process. if you have any query please let us know in the comments section below.